GROUND ZERO PLUS 1181 DAYS,--New York, NY, Monday, December 6, 2004--It was a dark, cold night when the Big Beast of Terror killed the Little Sentinel of Vigilance. It was a sad night, for the Little Sentinel of Vigilance had no chance. His death left his owners and loved ones empty and forlorn. Despite the sadness, the death of the Little Sentinel of Vigilance was glorious, for he was not afraid to die. He died with honor and integrity. 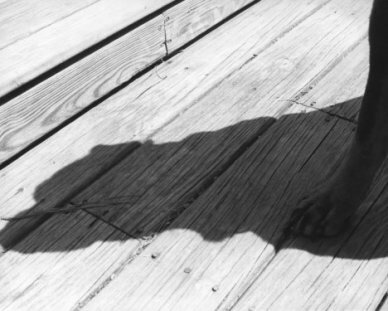 The Little Sentinel of Vigilance was a four-pound Teacup Yorkshire Terrier standing less than six inches high. The Big Beast of Terror was a 27-inch high, hundred-and-twenty-pound Rottweiler. The Yorkshire's name was Jake. 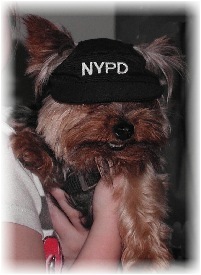 He was one of two Yorkies owned by my friend, his wife, and their 11-year-old daughter who live in the Bronx. I knew Jake well. He forced you to love him. Yorkies are loving family dogs that jump into your lap and look up at you with big marble eyes. They seem to smile, and pant anxiously, urging you to pet or hug them. 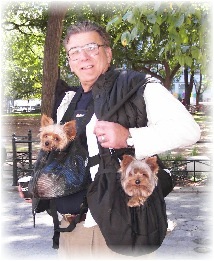 Yorkies love to travel in slings worn on their owner's chests, or in bags slung over people's shoulders, as they walk through cities, ride on buses or go shopping in stores. 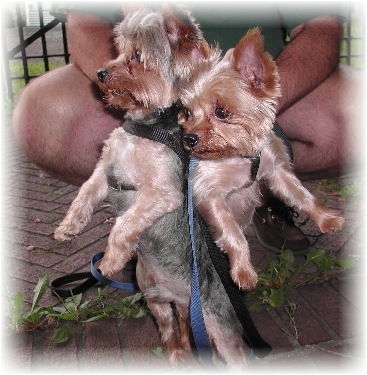 Yorkies are perhaps the most mobile of canines, and seem more like magical elves than dogs. They capture the child in adults and make children giggle delightedly as they lick their faces and cuddle up like a living toy. But, inside their canine minds, they are not four-pound drops in the dog-fighting global canine bucket. 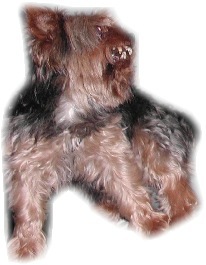 A dominant male Yorkie, such as Jake, will growl, snarl, bark and challenge any dog, regardless of its size. One might consider such behavior "fearless." 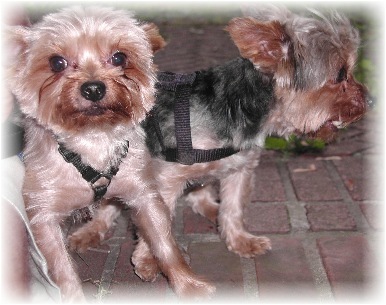 Others might look upon it as "reckless" since there is no possible way such a small creature could have any fighting chance against the mountainous dogs Yorkies challenge. Yorkies suffer from the David-Goliath syndrome. Within the chemistry of alpha male Yorkies is the instinct to defend and ward off intruders without concern for size or girth. Last night, my friend was walking his two Yorkies, Jake and Sammy. He let them run, as he usually did, down a road behind his apartment. Unfortunately, the neighborhood Rottweiler was also out. Jake dashed toward the thick-chested Rottweiler, barking and baring his teeth. He was doing his job as the neighborhood Sentinel of Vigilance. 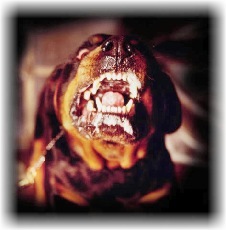 If there was a Beast of Dog Terror lurking about, it was the Rottweiler. The breed has a long history of aggressiveness and is considered dangersous if not well heeled. When Jake challenged the Rot, Terrorism struck Vigilance with a deadly blow. In a vicious crunch of his jaws, the Goliath Rot crushed Jake's neck, shook and threw his dead body. My friend was sickened. Jake was his daughter's dog as well as his. He was her pet that had become his friend, buddy and pal, carrying him through many lonely nights and befriending him when parts of him were sad and empty. Now, all that was left was Jake's bloodied body. My friend's anger against the Rot was mixed with his feelings of guilt for letting Jake run free. How could he tell his daughter--who was staying over at friend's house that night--what had happened. It was a cruel and harsh way to die. But, Jake had entered the Rot's territory. The Rot hadn't entered Jake's. In so doing, Jake challenged the Beast of Terror on the Beast's territory. The Rot had not violated an "invasion" of terroritory--Jake had. My friend is a retired NYPD detective and his wife is a federal special agent. Their house is filled with weapons, and each is trained to kill to avert others from killing or threatening the weak and innocent. While he didn't tell me this, I know there was a surge of revenge rushing through him. Without having to express his feeling, I sensed he had a thirst to go get his weapon and put it to the head of the Rot and rid the neighborhood of the Beast of Terror that kills Little Sentinels of Barking Vigilance, who, under any conditions, could render no harm to the Goliath other than that of a mosquito buzzing about an elephant. But there was the nagging question that if the Rot killed his dog, would the taste of blood spark a thirst for more? Some believe that once a domestic animal kills another dog, the feral nature of the beast dominates, increasing the odds that he will want more blood. It's similar to a person who kills one person, and, after doing so, realizes the power of the kill and becomes comfortable with the ability. Some cities require a dog that kills another dog to be quarantined, sometimes even put down because of the "potential danger" to others. A strong argument could be made that a dog that kills another dog is a danger to the community, even when that other dog did so on its own property. Jake's problem was that he defended his size. Small dogs such as Jake consider all big dogs "threats." His instincts were to show all the big dogs he couldn't be bullied. In humans, this is known as the "little man complex" when a short man acts cockily and seeks to acquire power to compensate for the fact he is smaller than average. Jake, unfortunately, paid the ultimate price for barking up the Tree of Terrorism. I told my friend that Jake died a glorious "dog death." In the sadness of Jake's demise, I reminded my friend that Jake could have run into the road and been crushed under the tires of a car, and that would not be a "glorious" dog death. Instead, Jake, like a samurai, rushed up to the Big Beast and fearlessly challenged his size and might. He was a "bushido" dog, dying with honor. I related to my friend I had just seen the movie The Last Samurai on HBO, and how the final scenes reminded me of Jake's death. 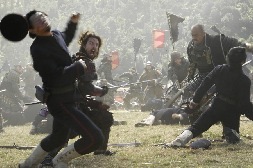 At the end of the movie, the samurai knew they would all be killed as they attacked the enemy with swords and bows and arrows versus their opponents' machine guns and artillery. The samurai were, in that case, Yorkshire Terriers; the ememies were Rottweilers. The result was a massacare. Gattling guns mowed down the brave samurai, leaving a pile of twisted, bleeding bodies. When the smoke cleared, the "enemy" knelt and bowed, paying respect for the bravery of the honorable samurai who died so gallantly. Jake died that way. He faced certain death despite the odds. He went out in the glorious tradition of all samurai, of all those who believe in standing up against all odds. One could liken Jake's behavior similar to the United State s taking on Global Terrorism. 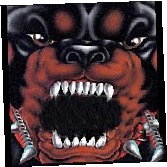 Terrorism is a big global bully, like a snarling Rottweiler. If one looks at our position in Iraq, we see the rest of the world virtually standing by as we take on Terrorism. We are fighting a huge world of Indifference where even the United Nations watches without support, and, when their building was attacked by Terrorists in Iraq, they pulled out. Some might liken Jake's death as a symbol of fighting Terrorism in the face of an Indifferent World. He was willing to place his life in the jaws of death to remind us all that the small, innocent, unprotected have the same rights as the big, oppressive, tyrannical. Deposing Saddam Hussein was taking on a Rottweiller. 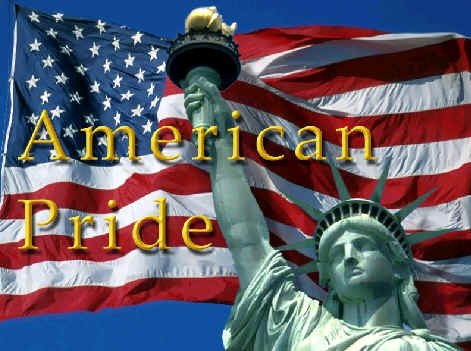 The United States- although big and powerful--is only six percent of the world's population. There is another 94 percent bigger than we. In that sense, we are a Yorkshire Terrier by comparison and the world at large is a Rottweiler. If we are the Sentinels of Vigilance, we are dwarfed by the size of the Beasts of Terror. Yet we snarl and bark and attack and give our lives to secure the freedom of others, to make the world neighborhoods safer, more secure. Hundreds of Americans have died in Iraq, and more will. They will be consumed by the seemingly endlessly large jaws of Terrorism, but, we will keep fighting. And, fighting fearlessly. Jake did not die in vain, as Americans are not dying in vain in Iraq. He died a Yorkshire Terrier of Vigilance, as all Americans and our allies are dying to protect the world from the Rottweilers of Terror. You are among the ranks of the Sentinels of Vigilance, standing guard forever to remind us to never surrender to those who issue Fear, Intimidation and Complacency. You are the Courage, Conviction and take the Right Actions that creates Vigilance, and we are safer today because of you. 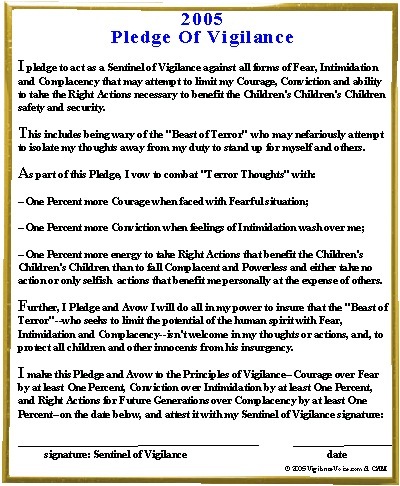 If you'd like to pay tribute to Jake the Yorkshire Terrier Of Vigilance, take the Pledge of Vigilance below. Jake will give you a bark when you do. Go To December 4 Story: "Does The Beast Of Communication Terror Live Under Your Tongue...?"